Widely used around the world, double glazing has begun to gain popularity in Australia. For Double Glazing Windows Perth’s number one choice is Wanneroo Glass. The introduction of energy building legislation across the country is helping Australians appreciate the economic and environmental benefits of double glazing and its advantages over traditional glazing methods. Double glazing is now more affordable and accessible than ever. Now it is possible to enjoy the advantages of glass – enjoying natural light and sun-filled living areas – and bypassing the disadvantages – heat loss and gain, and high noise levels. Wanneroo Glass Double Glazing can be partnered with a large range of glass types to enable you to choose a balance that suits your lifestyle. 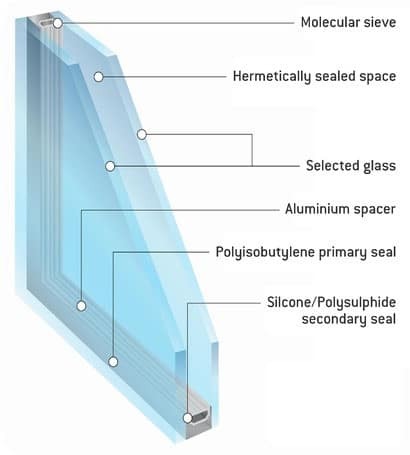 In addition our aluminium double glazing range can be used for a variety of applications, not just windows. At Wanneroo Glass we have solutions for double glazed doors, and for commercial or residential specifications. We also are available to consult on new builds, extension or for retro-fitting on your current premises. The applications are endless! Double glazing enables you to live and work in an environment with less noise, improved safety and comfort, as well as make dramatic savings on energy costs. Now is the time to join this new revolution in lifestyle management. Call the team at Wanneroo Glass today on (08) 9309 1962 or submit an enquiry and we can help you discover the benefits of double glazing today.